Chase Ink Business Cash Credit Card Review – Best No Fee Business Card Available? After reviewing the Chase Ink Preferred last week we decided to move onto it’s sibling the Chase Ink Business Cash. The Chase Ink Business Cash card is the Preferred’s little sibling but the earning structure is very different. That is unique for most card families, usually the bonus categories stay the same but just at different rates. By doing it this way Chase has made it compelling for a business to carry both cards. The historical high was for 50,000 points after $3,000 in spend within the first three months. The Chase Ink Business Cash card does fall under the dreaded Chase 5/24 rule. While it falls under the rule remember that it does not count towards your 5/24 count. So if you are at 4/24 you can apply for it and still get another Chase card after. Most Chase cards have a 24 month restriction as well. This restriction usually limits you from getting a sign up bonus for a second time within 24 months for the same card. There is no such terminology/restriction in Ink Business Cash terms. You may want to verify that with recent data points before applying if you fall within the 24 month time frame. You are able to transfer your UR points earned from your Chase Ink Cash card to one of these cards which then makes the points transferable to travel partners. Transferring the points to one of the cards above also allows you to use the Chase Ultimate Rewards portal to book travel as well. If you do not have one of the cards listed above then the points earned with your Ink Cash card will only be redeemable for cash back at 1 cent a piece. The Chase Ink Business cash card has no annual fee. It does come with a 3% foreign transaction fee. If you have one of the annual fee Ultimate Rewards credit cards listed above then the value of the points increases to 1.5 cents per point. The increase in value is because the points become transferable which increases their value. That would put the value of the 30,000 points at $450. The Chase Ink Business Cash credit card is a very compelling credit card, especially for a card with no annual fee. It comes with a top notch earning structure, a decent sign up bonus, and a few valuable perks. The cards 5x earning category is where it really shines. It is the only card still publicly available that earns 5x Ultimate Rewards on a consistent basis since the Chase Ink Plus was discontinued. And the $25,000 yearly cap is more than enough for most people. That is a potential of 125,000 Ultimate Rewards points every year. 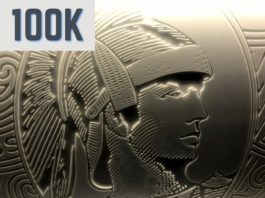 Where the card becomes valuable is when you pair it with an annual fee card like the Chase Sapphire Reserve or Preferred. You can even pair it with the Chase Ink Preferred since they compliment each other nicely. This unlocks the Chase Ink Cash’s points and allows them to be transferable to valuable travel partners like Hyatt and United Airlines etc. Even as a strictly cash back card, if you don’t have one of the cards listed above, it has some good value. 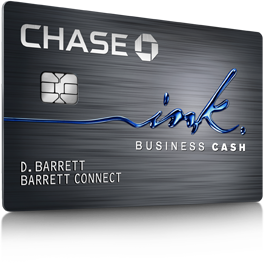 The Chase Ink Business Cash credit card is the most valuable no annual fee business card offered on the market. The card has an amazing 5x earning structure that comes with a generous $25,000 cap. Earning 2x on gas and restaurants is also very competitive. The Ink Cash card also comes with a decent sign up bonus worth up to $450. While the Chase Ink Business Cash card doesn’t have many perks the car rental insurance and extended warranty could save you hundreds of dollars per year. The Ink Cash card has two negatives. The points are not transferable, which is easily corrected when pairing it with another Ultimate Rewards earning card. And, there is a 3% fee for foreign transactions. Other than those two negatives the card is pretty flawless. A great no annual fee business card that offers a few perks and an amazing earning structure. Next articleSPG Member-Exclusive Bonuses are Back, Check If You Are Targeted! I’ve kept this card long term now and find it especially more valuable now that I can just call up and transfer my points to my UR points balance with my CSR card, upping my value to 1.5% instead of 1.25% for travel purchases. It is a great complimentary card for sure!